Electronic Scales can be a blessing. They are fast and easy to use (for the most part). But there is a potentially dangerous side as well. Here is a real-world example of problems you can encounter with common reloading scales. I recently received a new box of Berger 95gr VLD bullets to test. These proved to be exceptionally uniform in base to ogive measurement so I decided to weigh them as well. I fired up my PACT electronic scale, letting it warm up for a full hour. Then I calibrated the unit using the check weights provided by PACT. I had a steady zero, the red cup tared (zeroed) correctly–everything looked good. I then started weighing the 95 VLDs, placing each bullet individually in a loading tray so I could repeat the measurements in order. After about 20 rounds I was interrupted by a phone call. I noted the weight (95.0 grains), wrote that down in my log book, removed the bullet, and took the call. 40 minutes later I returned to the loading room and re-weighed the SAME bullet. This time it registered 95.3 grains. Hmmm, I thought, that doesn’t seem right. Then I re-weighed each of the last five bullets (which were in order in the loading tray). Each one measured 0.3 grains higher than originally. I use the zero reset function to re-tare. 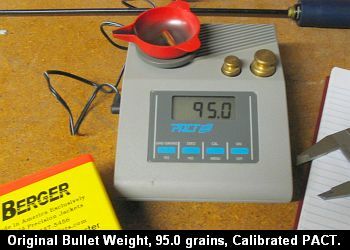 Same results–0.3 grains high. Next I removed the red cup, re-zeroed and re-weighed without the cup. The bullets were still reading 0.3 grains high. Somehow the scale had lost its calibration. Accordingly, I recalibrated the scale twice and re-weighed the bullets a third time. This time, following recalibration, they mostly measured the same as the first time, but a few registered 0.1 grain higher. It was clear from this exercise that the scale had drifted 0.3 grains in a relatively short period of time. Even after the scale was recalibrated, some of the measurements were slightly different. This is cause for concern, obviously, if you are weighing powders. With small cases such as the 6PPC and 6BR, 0.3 grains will make a big difference in pressure. 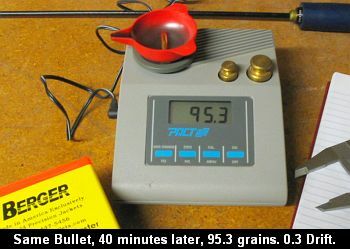 If you think you are loading 30.5 grains of Varget when in fact you are actually loading 30.8 grains, you’re in trouble. What can one do to avoid this problem? First, allow a long warm-up time for the scale–3 hours or more. Second, recalibrate the scale before each loading session. Third, keep a check-weight handy and use that frequently to see if your scale is drifting. Fourth, there is some evidence that running the scale off a “line conditioner” that provides regulated voltage can help. This PACT unit did not have a line conditioner in place during our tests. Lastly, the “ultimate solution” is upgrading your scale. A higher-grade scale, such as the $275.00 Denver Instrument MXX-123, shown below, is much less likely to experience the problems of inconsistent read-outs and drifting zeros. Share the post "Weight Drift on Digital Scales"
Here’s a smart, simple item that will come in handy during hot summer weather. 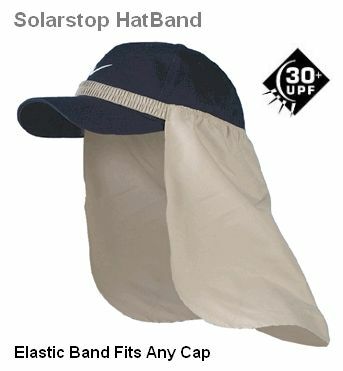 The Solarstop elastic hatband will fit over the crown of any baseball-style cap. (Yep, you’ve probably got dozens of baseball caps, right?). 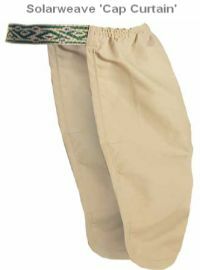 The draped fabric provides 30+ UPF protection for your neck and ears. When things heat up, dunk the soft microfiber fabric in the water for relief–it cools you down fast and dries quickly. Share the post "Solarstop Cap-Top Neck Protector"